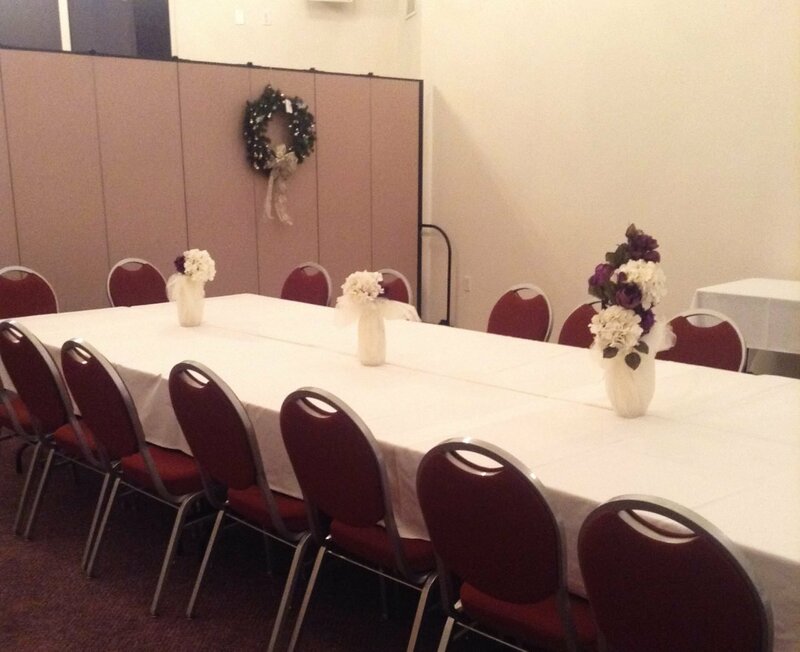 The staff of Whatcoat United Methodist Church came to Screenflex with the need to divide their fellowship hall into smaller rooms. The solution needed to be able to move freely around the space and not interfere with the HVAC and lighting systems. 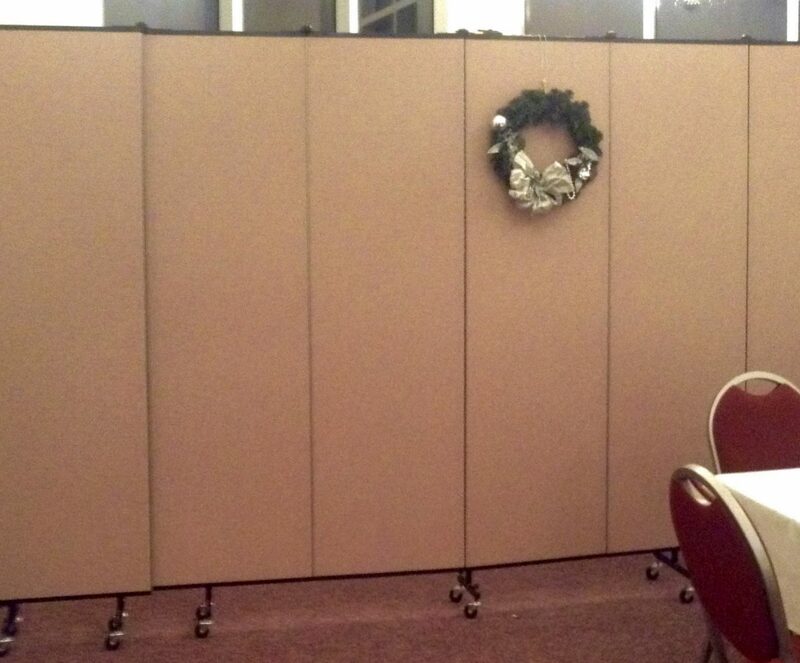 Screenflex Portable Room Dividers were just the solution. 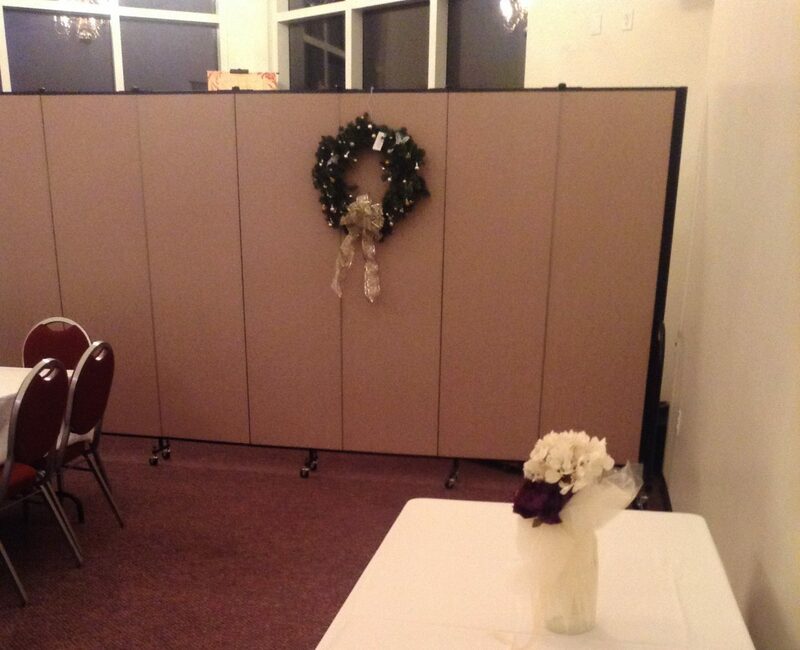 With Screenflex multi-purpose room dividers, the large room is easily divided into smaller rooms. Now, each section of the multi-purpose space is clearly defined as to what the space is to be used for. Here, a large exterior window exposes the hall to the view of those outside and well as exposes the room to temperature fluctuations. By placing the room divider in front of the windows, the view is obstructed and weather elements are kept in check. Additionally, decorative items can be tacked, pinned or stapled to the fabric walls to customize the look of your room. Since the dividers roll on wheels, they can be set up anywhere.